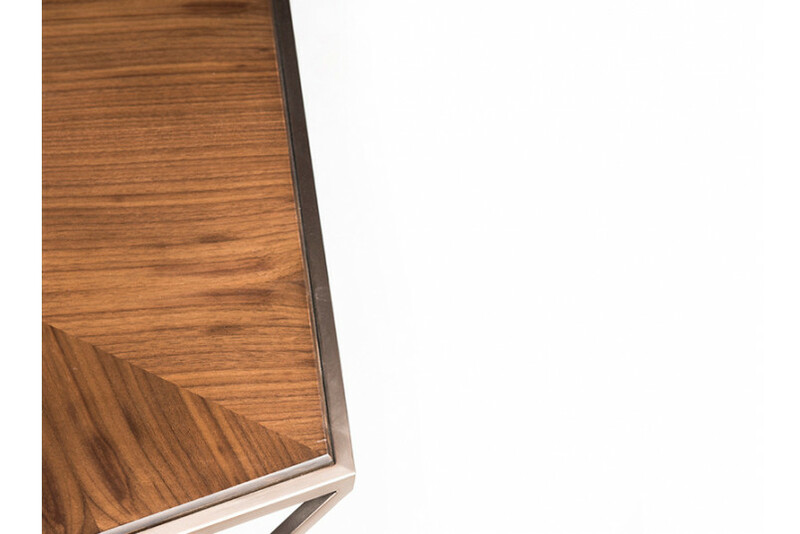 The beautiful, yet simple pentagon design is characterized by walnut veneer top in its natural wood grain personality. Complimented by the geometric design of the bronze steel frame that adds modern style and an eye-catching aesthetic, this versatile coffee table is the perfect addition to any living room. Hexa is in the beautiful symmetric shape of the pentagon, an artistic piece for the living room. Its modular design allows it to fit into different pieces.